For two decades NPR commentator Andrei Codrescu has been living in and writing about his adopted city, where, as he puts it, the official language is dreams. How apt that a refugee born in Transylvania found his home in a place where vampires roam the streets and voodoo queens live around the corner; where cemeteries are the most popular picnic spots, the ghosts of poets, prostitutes, and pirates are palpable, and in the French Quarter, no one ever sleeps. Codrescu's essays have been called "satirical gems," "subversive," "sardonic and stunning," "funny," "gonzo," "wittily poignant," and "perverse"-here is a writer who perfectly mirrors the wild, voluptuous, bohemian character of New Orleans itself. This retrospective follows him from newcomer to near native: first seduced by the lush banana trees in his backyard and the sensual aroma of coffee at the café down the block, Codrescu soon becomes a Window Gang regular at the infamous bar Molly's on Decatur, does a stint as King of Krewe de Vieux Carré at Mardi Gras, befriends artists, musicians, and eccentrics, and exposes the city's underbelly of corruption, warning presciently about the lack of planning for floods in a city high on its own insouciance. 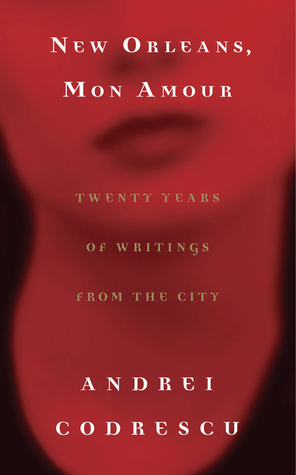 Alas, as we all now know, Paradise is lost.New Orleans, Mon Amour is an epic love song, a clear-eyed elegy, a cultural celebration, and a thank-you note to New Orleans in its Golden Age.